Third Millenium Pub Ltd, 9781908990488, 195pp. Eight hundred years ago King John of England was forced to seal a document of historic importance. As the first charter to grant individual liberties under the rule of law, protecting the people against tyranny, Magna Carta is the most influential and far-reaching legal text the world has ever known. 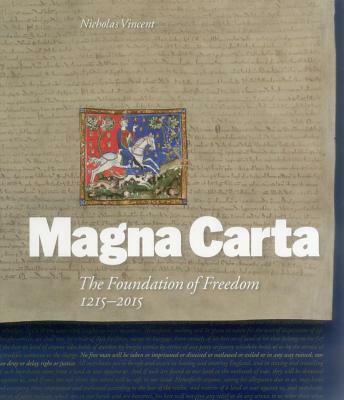 For this book, published with the official support of the UK Magna Carta Trust and marking the eight hundredth anniversary of the charter's first issue, Professor Nicholas Vincent is joined by a range of experts on Magna Carta from across the world to reflect on the circumstances of its genesis and its enduring significance. Magna Carta was serially reinterpreted by later generations, becoming a totem in fierce political debates on the liberties of the people - it became a sacred text for English puritans of the Civil War, for the American patriots of the War of Independence, and for all those in the English-speaking world who have striven to build democratic rights and freedoms in the post-colonial age. Contents: Magna Carta in Context: a general survey from 1215 to the present day Nicholas Vincent Law Before Magna Carta: the Anglo-Saxon law codes and their successors before 1215 Nicholas Vincent Plantagenet Tyranny and Lawmaking Nicholas Vincent The Tyranny of King John Nicholas Vincent Magna Carta: Defeat into Victory Nicholas Vincent Magna Carta in the Later Middle Ages Anthony Musson Magna Carta against the King Justin Champion Magna Carta and the American Age of Reason Joyce Lee Malcolm Magna Carta in the 19th Century Miles Taylor From World War to World Heritage: Magna Carta in the 20th Century Nicholas Vincent 21st-Century Magna Carta Richard Goldstone.